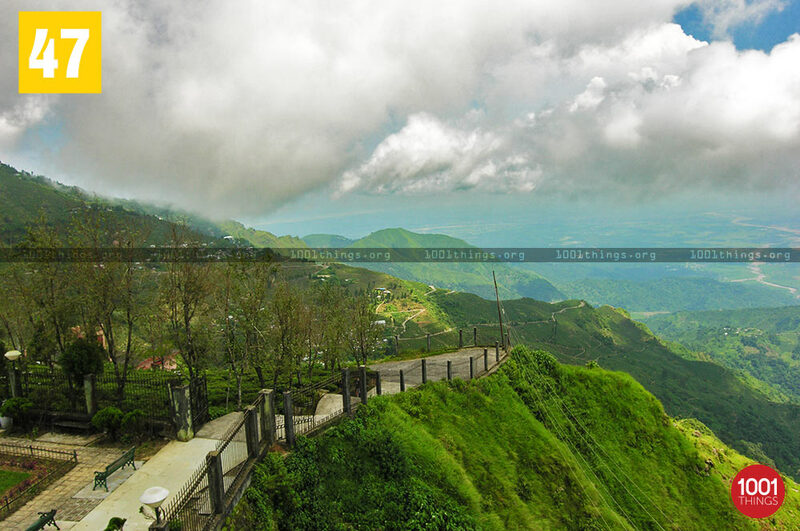 Kurseong is a hill station in the town of Darjeeling which is in the state of West Bengal. 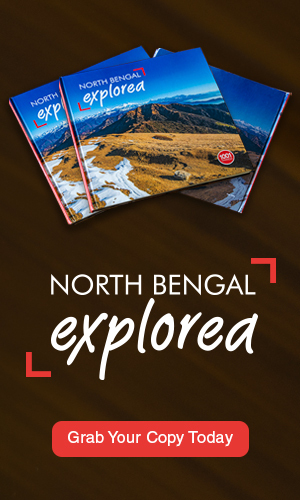 In the Lepcha language it means the land of the white orchids. 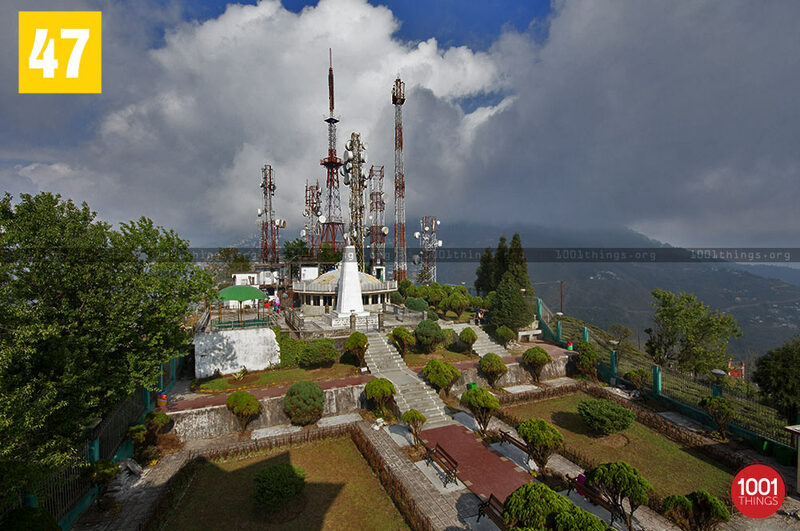 The weather in the town of Kurseong is always pleasant. The town is amongst the green canopy of myriad tea gardens. 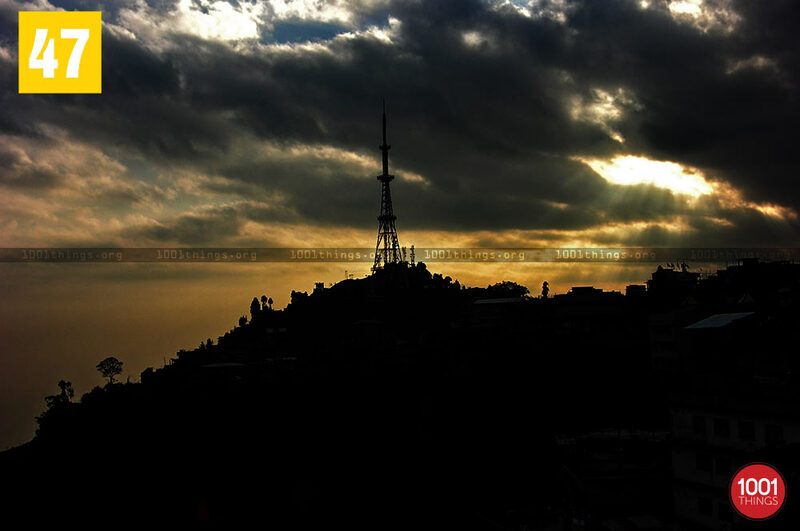 A well-kept secret from where one can view an amazing sunset in all the desired calmness & silence. 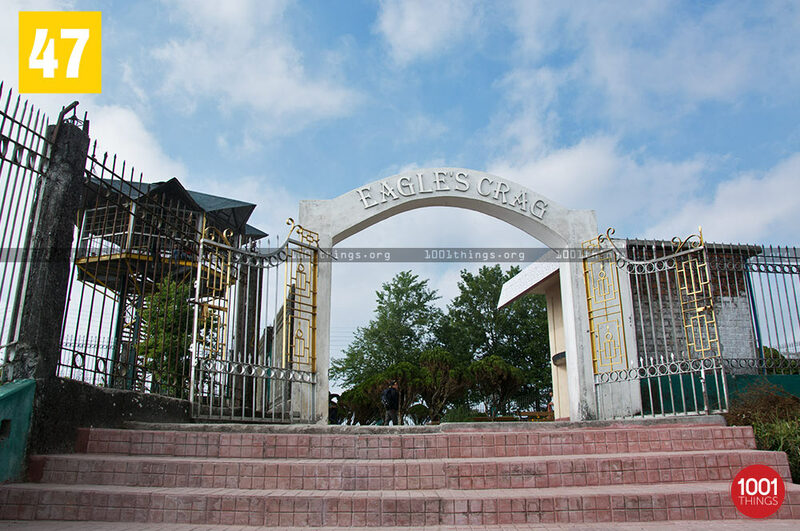 The most fascinating aspect about the Eagle’s Crag situated just a kilometre distance from Kurseong is that not many people know of it and hence there are few tourists around. Once one makes his/her way up the spiral staircase to the steel-caged observatory – the viewpoint, he/she is definitely in for a visual treat. 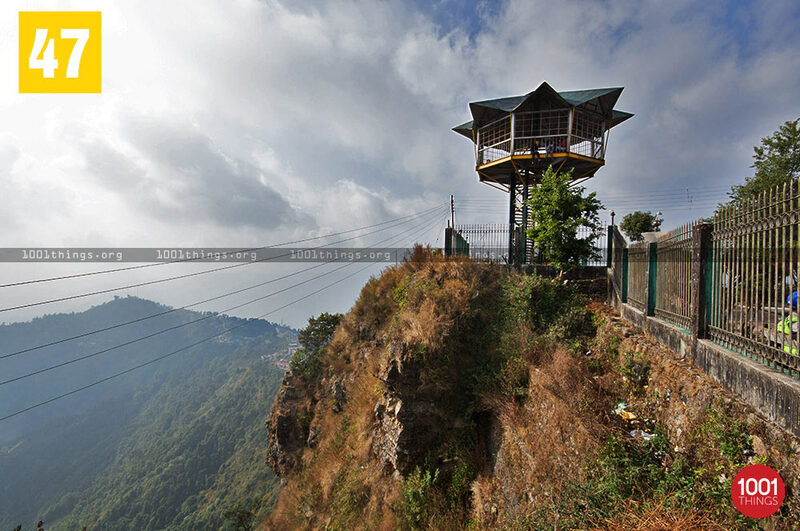 The lookout point offers stunning panaromic view of the sunset and the lush green slopes around the small town of Kurseong. One can also see the river Teesta snaking its way through the valley.